I am a member of the Landrover Owners Club Auckland. I am Liaison Officer for that Club. Last year I was the Vice President for the Northern Zone of the New Zealand Four Wheel Drive Association. This year (2014) I was elected President of the Northern Zone. I have been asked by Tony Burgess as President of the Four Wheel Drive Association to speak at the conference about the benefits of being a club. 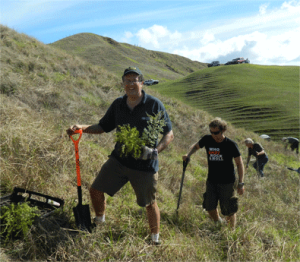 John and other members of northern zone 4WD clubs have assisted the rangers at Te Rau Puriri Farm Park by planting over 11000 native trees. By “club” I mean a group of people with similar interests not seeking to profit from their association with each other, so not a business. If a club is incorporated, it is usually incorporated under the Incorporated Society’s Act 1908 (“the Act”), the Charitable Trusts Act 1957 or the Charities Act 2005. 3. Why have an Incorporated Society? If a group of people get together and are not an incorporated society under section 13 the Incorporated Society’s Act there is joint and several liability for debts. Unless otherwise specified in the Act members are not liable for the debts of the society. You might not think that a problem. However, some years ago I acted for a person who was a member of an immigrant sports community that joined together for sporting purposes. They were not incorporated. The person ordered sports clothing. The supplier was not paid. The supplier sued the client for thousands of dollars owed to the supplier. Because the club was not incorporated each person was jointly and severally liable for the debt. In other words, one person could be sued for all of the debt and was sued for all of it. If it had been an incorporated society, it would have been the Society rather than the individual person who would have been sued. (a) There is limited liability (see above). (b) The other side of this is that a club cannot exist for the pecuniary gain of members and members should not financially gain from their membership. So if clubs make too much money they may lose their not for profit status (see sections 5, 14 & 20). A club must have a Constitution which sets out the rules affecting members (s6). If the club is a member of the New Zealand Four Wheel Drive Association, its members have the benefit of the Association’s insurance policy. It must use the word “incorporated” in its name which can be abbreviated to “inc”. It must have a registered office (s19). It has to have a Constitution (s7) and must register any changes of rules (s21). It has to file annual returns. It must keep a register of members (s22). Many club’s rules include items that are specific to that club. A club must have officers (s6) and a Committee who need to understand their roles and the practice of the club. Meetings are ultimately more important than any meeting of the executive or actions of the officers of the club. (As Von Dadelszen says, the executive is always subservient and accountable to the members at a general meeting (6.2.3)). The club needs to have at least one general meeting every year, known as the Annual General Meeting (“AGM”) and proper notice must be given together with an agenda. A club must file annual financial statements (s23). Is provided to any one person no more than 12 days in any 12 month period. Prepare for meetings and telephone calls by getting everything ready first. Use time wisely – one phone call or one well thought out and thorough email are better than 3 or 4 short phone calls or emails, as often lawyers charge on a time cost basis for each telephone call and email. 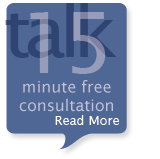 Write things down for your lawyer – most lawyers can read far quicker than you can tell them things orally. It helps your lawyer with note taking and written notes can be reviewed at any time. An email or a typed or handwritten note is fine. Often that will be written or typed notes or a longish email with one or two attachments (unless agreed with your lawyer anything larger should be delivered physically). Usually the sequence of events is important i.e. what happened first, second, third (so sort out into order oldest/first to most recent). Then what happened? (i.e. the event that is a concern, problem, etc). Then what has happened since the event? 6. Really urgent matters are best dealt with by telephone or fax not email. Many people in business get overloaded with incoming email and Lawyers are no exception. Sometimes email is not delivered in as short a time as people expect. 7. Things may take time so if not urgent allow your lawyer time to read and think about an email or letter before you chase your lawyer.